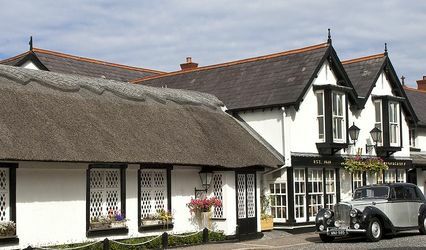 Belfast Loughshore Hotel ARE YOU A SUPPLIER? 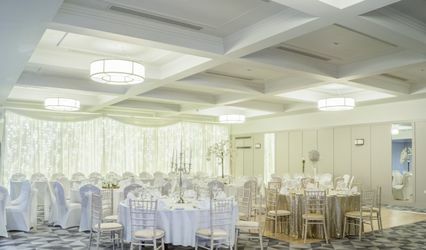 The Belfast Loughshore Hotel is a family owned and operated hotel and wedding venue located in Carrickfergus near Belfast. The hotel is on the outskirts of the city, lending a relaxed and contemporary setting to any special event. 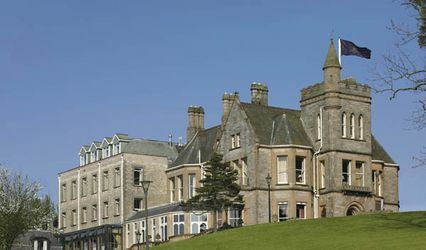 The hotel is located near the shores of Belfast Lough which provide wonderfully scenic backdrops to wedding pictures. Perfect for weddings from 40 to 300 people. Banquet halls with dance floors are available for receptions. A bridal suite is offered for preparing for the day as well as overnight accommodations. A breakfast the next morning after the event is included with the bridal suite. Guests registering with the wedding will receive a special discounted rate for overnight rooms. Customised wedding packages are available for clients. These packages contain a number of services including photography, music, transportation, and decorations. The professional wedding staff ensures a unique and personalised service to make the planning and the event go as smoothly as possible. Banquet style catering is offered with drinks and beverages included. A three course meal for the wedding banquet includes a starter course, main course, dessert, as well as tea and coffee. Traditional and regional menus are provided. Customized menus can be created such as vegetarian, vegan, gluten-free, and diabetic friendly menus.